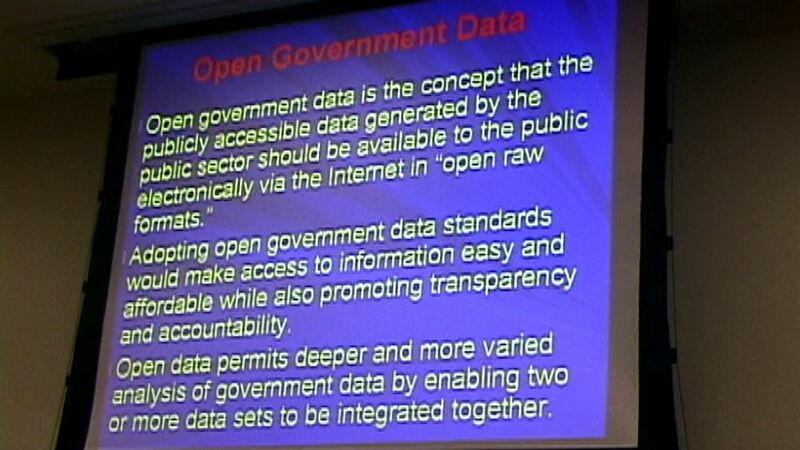 This was a public hearing of New York City Council Committee on Technology in Government to discuss open data standards for city agencies, a new bill #991-2009 having been introduced to establish same in an effort to increase government transparency and access to public data. Beyond the 'good government' benefits of the legislation, the bill is intended to unlock City data to enable web developers and entrepreneurs to interact with City government in new and unforeseen ways. However, on the morning of the hearing Mayor Bloomberg pre-empted the bill by announcing that the City would make available 80 data sets and run a competition 'Big Apps' for the best application. While welcoming the Mayor's initiative, it was apparent that the Committee Chair Gale Brewer, and just about every witness, considered it ultimately insufficient. Morgan Reed - Assoc. For Competitive Tech. Tom Lowenhaupt - Connecting .NYC Inc.
Frank Hebbert - Regional Plan Assn. Educators, librarians, and other interested parties can obtain a free DVD of this hearing by emailing dvd@isoc-ny.org - ask for DVD1615.